Red Pandas! That’s correct, two highly endangered pandas will soon be calling Forest Animal Rescue their forever home. We have been rescuing a wide variety of animals from around the world for over 20 years. The extremely rare panda pair, named Luly and Juky, are coming from a closed zoo in Buenos Aires, Argentina. The lengthy transfer process has been underway for almost two years – but the final permits should be approved soon, allowing them to arrive in the next few months. 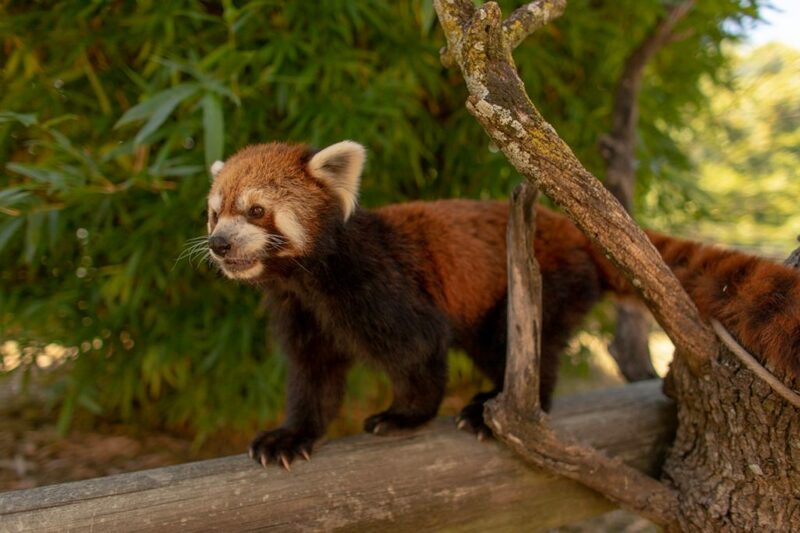 Red pandas, or lesser pandas, were once classified in the same family as the famous black and white panda. They also eat bamboo, but they are much smaller – slightly larger than a domestic cat. People love them for their fluffy ringed tail, kitten-like face and amazing agility. 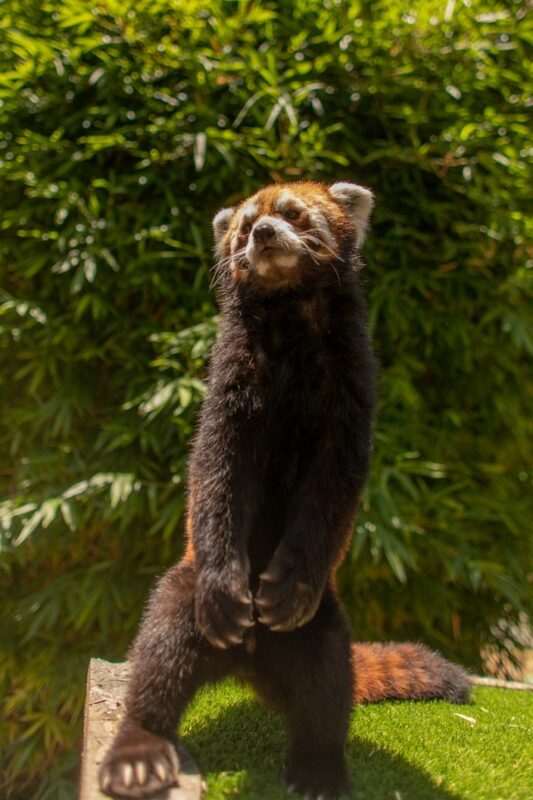 With their bushy tail for balance—which can be as long as their body—and claws for gripping, red pandas are definitely acrobatic tree dwellers. 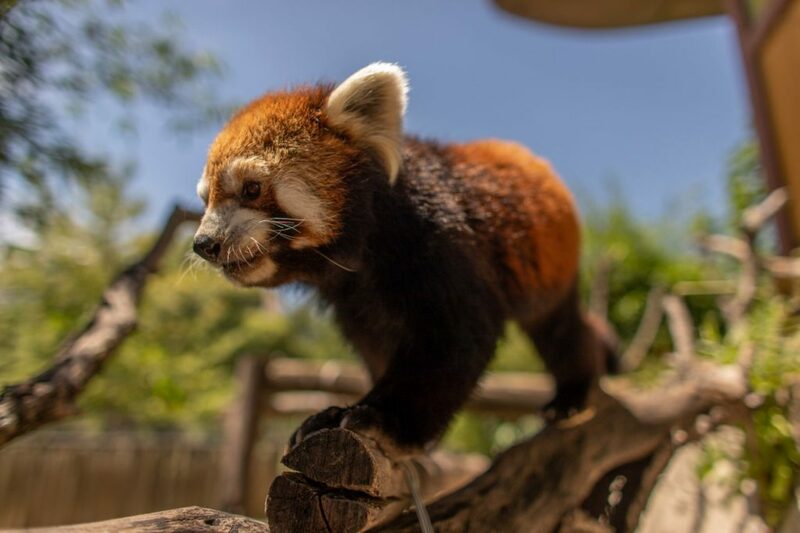 Most of their time is spent in trees, and the red panda’s cinnamon red coat, occasionally saddled with orange or yellow, and soft cream-colored face mask give great camouflage among the red moss and white lichen that cover the tree trunks of their bamboo forest homes. Below each eye is a band of color that varies from tan to red to black. The legs and belly shade to black in striking contrast to the red body, and the tail is fully furred and more-or-less banded, with rings on some individuals being more pronounced than on others. 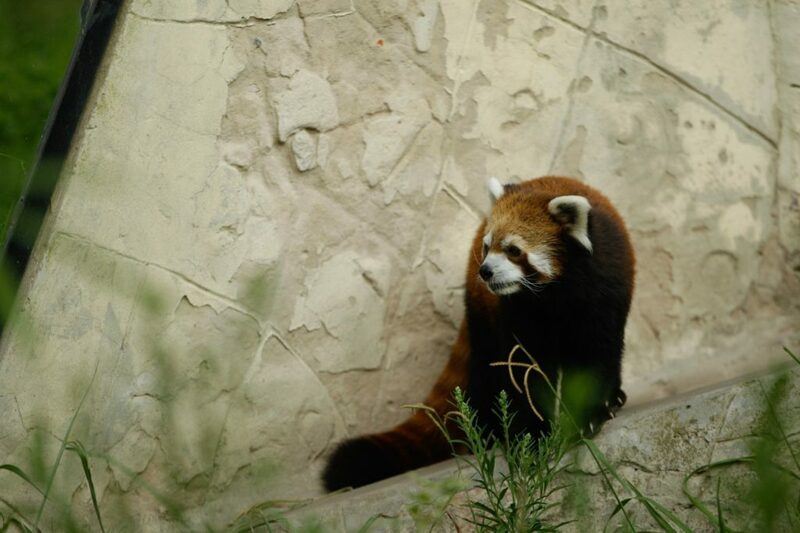 Surprisingly, red panda fossils have been discovered in North America that date back as far as 5 million years. However, today they live in small, isolated mountain territories, mostly in the Himalayas. 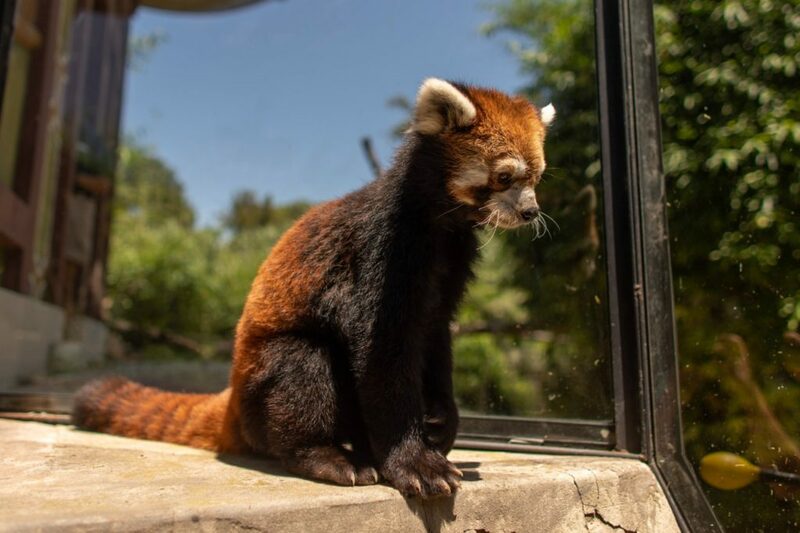 Humans clearing forests for farming and grazing, as well as hunting and the pet trade in their native country, have drastically reduced the number of red pandas in the wild. Their numbers may have decreased by as much as 50 percent over the last 20 years. 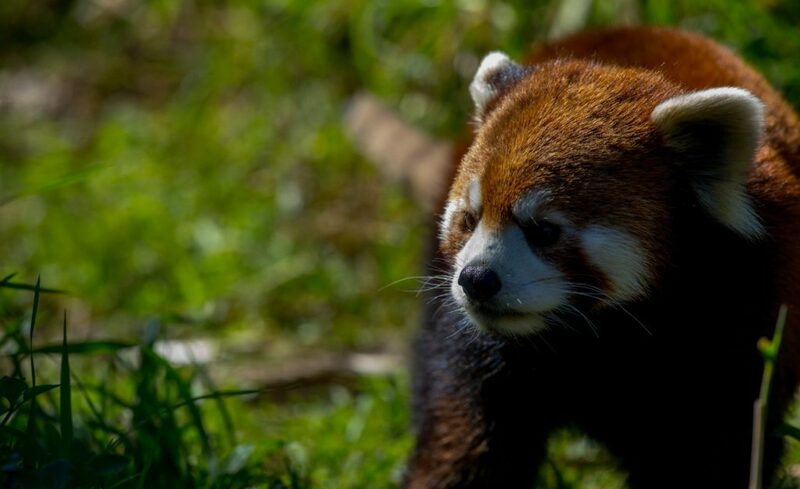 Unfortunately, there are only between 2,500 and 10,000 red pandas remaining in the wild. Forest Animal Rescue successfully rescued two pumas (Harvey and Irma) from another closed zoo in Argentina last year and is now preparing for the arrival of the red pandas. 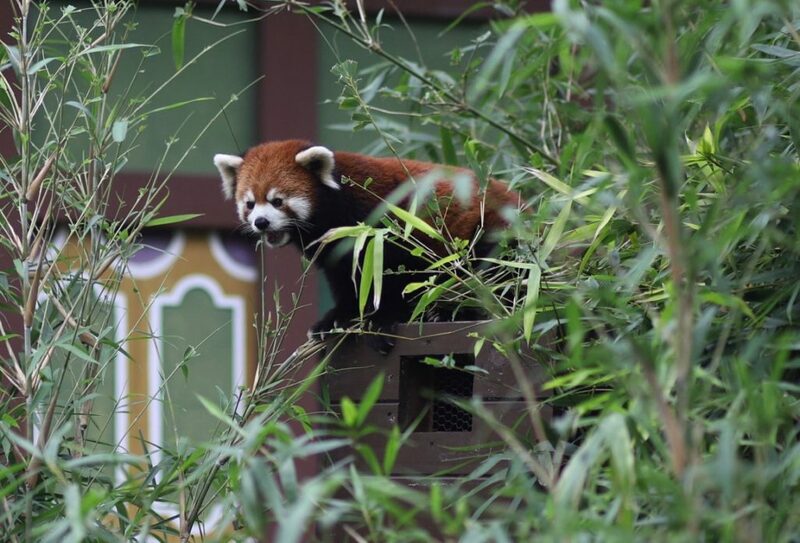 Their spacious habitat is under construction and we have been planting noninvasive bamboo plants on our 80-acre facility to meet their dietary requirements. We are not open to the public as an attraction but we do provide limited guided tours twice monthly by reservation here. We will be installing webcams for people to watch the pandas in action as we educate others about the plight of their wild counterparts. Tax-deductible donations to help with the animals may be made online right here or mailed to us at: Forest Animal Rescue , 640 NE 170th Ct., Silver Springs, FL 34488. This entry was posted in Current Projects and tagged arentina, Bear rescue, Big Cat Rescue, buenos aires, Forest Animal Rescue, peace river refuge, red panda, sinzoo, wild animal rescue, wild animal sanctuary, Wolf rescue, zoo. Bookmark the permalink. We are still awaiting the final Federal import permits before we can arrange their transportation. There is no way for us to know for sure when that will happen, it was supposed to take 90 days and we applied in October last year. All I can suggest is to watch our news and you will see when they have made it here.